Roman Reigns has been the golden boy of Vince McMahon ever since 2015. The Boss has tried his best to push Reigns to the moon by having him main event multiple WrestleManias and other big WWE pay-per-views. There's almost nothing the Samoan superstar has not achieved in WWE. He has won the WWE World Heavyweight Championship, the Universal Championship, the United States Championship, the Intercontinental Championship, and also the WWE tag team championships. The WWE Creative has always wanted the WWE Universe to look at Roman Reigns as 'The Guy'. 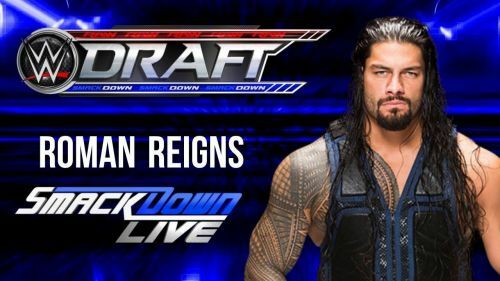 Thus, they had drafted him to their premier show, Monday Night RAW in the 2016 Draft. But, what if they had shifted him to the blue brand thinking that he may become popular performing on the 'B' show. In this article, we will have a look at the things that would have happened had Reigns joined Shane McMahon's show in 2016. A lot of members of the WWE Universe might have forgotten that Dean Ambrose was the WWE Champion in 2016. Even those who remember that Ambrose was the champion, they may have forgotten that he had defended the belt against Dolph Ziggler at the biggest party of the summer in 2016. Yes, Dolph Ziggler had won a six-pack challenge on the first episode of SmackDown Live to earn the right to challenge Dean Ambrose at SummerSlam. If Roman Reigns was a part of the SmackDown roster, then he would have won that match and challenged Dean Ambrose for the WWE title. Though he was facing the ire of the top officials of the company because of his policy violation, Vince and co. would not have him lose the #1 contender's match. What if Roman Reigns never joined The Shield?